(Fanny Rabel) Museo Nacional de Cuba and Centro Wifredo Lam. 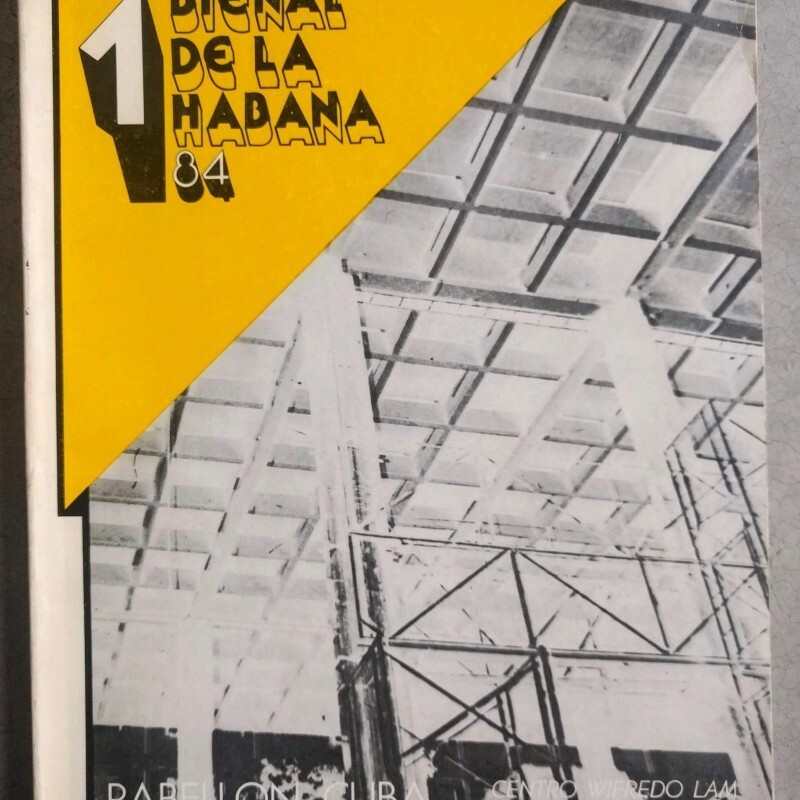 Primer Bienal de la Habana ‘84: Catalogo General. Havana, Cuba: [Ministerio de Cultura], 1984. 4to, 318 pp. ; incl. 249 pp. of b/w reproductions of the works in the biennial, together with artist index and bios, and exhibition statement; in color pictorial wraps, lightly worn, spine cracked but sturdy. Ownership inscription in pen, Fanny Rabel. The first Cuban biennial catalogue is a comprehensive guide to Latin American art in the early 1980s. This copy possibly belonged to Mexican muralist Fanny Rabel, represented in the exhibition. OCLC locates fewer than 10 copies in North American institutions.